The following is a transcript of an interview between Wayne Bucklar from Vertical Internet Radio, and Jamie McBrien, Director of optiBPO. The interview can also be watched on YouTube by clicking here. Wayne Bucklar: Today, my guest joins me from Sydney in Australia. He is Jamie McBrien, he is the director of optiBPO and they’re a specialist organization dealing with offshoring and outsourcing to the Philippines. Jamie welcome to the program. Jamie McBrien: Yes, thank you Wayne for having me. Wayne Bucklar: It’s our pleasure. Now Jamie, fill us in on what it is optiBPO does because you’re really quite unique in this space. Jamie McBrien: Wayne, we help Australian, New Zealand and European businesses set up offshore dedicated teams in the Philippines. The thing that makes us different is that we work onshore with clients to understand the offshoring opportunity for them, making sure that they’re ready, and then helping them transition and build, and then manage that team as a managed service in the Philippines. Wayne Bucklar: Offshoring has been around for 30 or 40 years and it brings to my mind call-centers with hundreds of people run by multinational businesses. That’s not the kind of offshoring and outsourcing that you’re doing, is it? Jamie McBrien: No Wayne, it’s one of the preconceptions we need to change. Offshoring is evolving quickly and rapidly, and having been in this business for over 20 years now, the change has been enormous. Offshoring used to be about large companies moving lower value transactional activities to the likes of India, or other locations. It’s rapidly evolving, as people realize that capabilities’ global now, and expanding beyond the traditional basis. As a result, we’re moving our market and there’s a whole lot of activities now that we are able to think about, that we couldn’t previously. It’s not just a cost saving an issue anymore, a lot of people are doing this to get additional capability to help scale to support their growth strategies. Wayne Bucklar: Now I noticed you mentioned India, and I guess like a lot of Australians who have spent time on the telephone in the evenings with the Indian call centers, it’s not the favourite thing with customers in the world. Is the Philippines different? Jamie McBrien: The amazing thing about the Philippines that a lot of people don’t realise, and we dedicate all of our attention and activity on the Philippines, it’s the third largest English language speaking country in the world. It’s true the US has a lot of influence on the country, and as a result there’s a high level of cultural alignment, that makes it easier to communicate, and they have an education system that is a fantastic feeder into providers of offshore services. We just find the Philippines an easier place to work with and to build the teams they can engage and communicate well with our Australian, New Zealand, and European clients. Wayne Bucklar: Now Jamie, you talked about the opportunities in outsourcing to the Philippines. What’s the consequence for businesses who are ignoring this opportunity? Jamie McBrien: That’s important to think about. A lot of people see it as a one to one replacement, or simply moving into a lower cost jurisdiction. While those opportunities are there, there’s an opportunity to do a whole lot more. We work with small, medium and large businesses, and they’re all doing things that they would not be able to do in their home countries. This may include delivering additional services that wouldn’t be cost effective back home, or building teams to provide additional support, that it would be difficult build a business case for in Australia, New Zealand, or Europe. Typical areas we see clients building extended services and teams include market research, lead generation, and additional customer service. Many organisations are leveraging this opportunity as an important enabler of their growth strategy. Wayne Bucklar: Now Jamie, when optiBPO help onshore, what does a business need to help with? What is it that you do? Jamie McBrien: A lot of time people see this is an opportunity but they don’t really know where to start. They are experts in their own business, but they haven’t been through an offshoring initiative before, or they might have been a part of it only once. We’ve done this many times, and so we work with organizations end to end. We will think about the strategy, what else can they do, what is the case for change, what is the most appropriate transition plan, and how is risk best managed. We will also think about what we need to be ready. Offshoring fails when people think that it is throwing an activity across the fence. There are a number of areas people overlook, but which are important to be offshoring and outsourcing ready. That can be including well-defined processes, understanding systems and how they operate, and building an effective offshore structure that can interface well with the onshore team. We help clients work thru that whole transition process, as well as then building the team in the the Philippines, bringing the team onboard, helping transition those activities, and then managing the team, and managing them as a service. It’s not a “set and forget,” it’s about building a team that is an extension of your local team, not a separate part. Wayne Bucklar: I’m sure if we went looking, we would find some people who have outsourced who haven’t had the most positive of outcomes. Do you have a sense that what you are doing is providing safety and minimizing risk for people? I guess to put it bluntly, do your customers get a better result than the run of a mill when they outsource to the Philippines with your support? Jamie McBrien: Yes, absolutely. 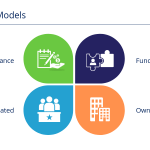 There’s a whole lot of different models for offshoring. Many of our clients might have started using some freelances somewhere, or they might have considered a seat leasing arrangement. While these ideas might provide a starting point to understand the benefit, they lack the opportunity to scale. It will also start to introduce risk as you grow the team. Our role is to work with our clients through the growth of their offshore teams, and ensure they avoid any pitfalls, and that risk is always managed. We’re not about setting up teams and then walking away, we set them up and help you manage them. People often might see the low cost dollar sign and think, ‘Well, that’s fantastic.’ But there is more to it than that. There is some overhead and there is some additional cost that we need to incur, but that doesn’t mean the benefit’s not there. Our clients typically are able to build teams at 20-30% of the cost than they are able to in Australia, New Zealand or Europe. Wayne Bucklar: Jamie, just come back to that for a minute, 20-30% of the cost base, did I get that correctly? Jamie McBrien: Yes. That’s a sort of business case that we typically work towards. Of course this depends on the roles and the specific activities. However, that’s the typical range that we’re looking at, which is why it is important to ask the question in relation to what more can we do? While the cost imperative is important, it is better to take longer to build your offshore team, and to get it right than to quickly fail in search of rapid cost savings. Wayne Bucklar: So outsourcing to the Philippines with optiBPO is going to reduce my cost by about two thirds. Jamie McBrien: Yes, that’s correct. That’s the sort of objective we’re working towards. Wayne Bucklar: That’s a spectacular result. Now let me put on my cynical hat on for a minute, if I was prospective customer of yours, what could you offer me by way of evidence or social proof that this works? Jamie McBrien: Yes. Look, we’ve worked with a range of businesses again in Australia, New Zealand and Europe. They range in size from 30-40 employees up to 3000,. We have a whole range of businesses that we’ve built with the same success with. The reason we are able to build success is that our expertise at its core is in process and structure. While we obviously have expertise in offshoring, there are many providers simply of an offshore platform, but without any services wrapped around. Our expertise though is in making sure process and structure is right, and that’s the background we come from. As a consulting business, that’s what we’ve always done, whether it’s helping build process and structure here onshore or if it’s helping to build process and structure in a shared services in a specific location. Or it it’s with optiBPO, helping build the right processes and structures to ensure success with ouroffshore dedicated teams in the Philippines. Wayne Bucklar: So onshore support to make your offshore team work? Jamie McBrien: Yes, absolutely. We have offices in Sydney and London, and we’re able to speak with clients locally, go and meet with them, work through their specific issues, and also get to interact to help them manage their offshore team. Without an onshore partner, you’ll end up finding that you’re doing a whole lot of running around, creating a level of management overhead that we take responsibility for. This takes the headache out of managing your offshore teams. Wayne Bucklar: Jamie, there’s a ton questions that come to mind because I haven’t come across someone who’s an onshore expert in offshoring before with the experience base that you’ve got. The sorts of things that come to my mind are about culture and work practices, and legislation, and jurisdictions, I guess there’s a ton of things that you can actually help people out with. Jamie McBrien: Yes/All of those things become our responsibility, and we can start with teams as small as one, and build from there. All of those items that you talked about in terms of jurisdictional risks, local compliance, tax, legal, and insurance, they’re all things that we manage. The job of the client is for us to work with them to identify the tasks and the activities that they need their dedicated team to perform. All of the non-tasks related activities, all of the overhead that comes with having an offshore team, is what we take responsibility for. Wayne Bucklar: Jamie, it’s been a pleasure chatting with you. For people who are interested, how they will get hold of you? Jamie McBrien: We have our website, www.optibpo.com, which has the contact details of our Sydney and London offices. Alternately, they can reach out to me at [email protected]. Wayne Bucklar: Jamie, thank you for your time today. Jamie McBrien: Thank you Wayne. Growing a successful offshore team is difficult to do without the proper guidance, advice and support from onshore leaders. You need to make sure that you have the right level of onshore support and work with a high-performing outsourcing company to secure your company’s growth. optiBPO has helped many businesses in Australia, New Zealand, Europe and North America successfully offshore operations. Interestingly, some businesses don’t have procedural documentation in place, but optiBPO’s new affiliate company optidocs can help with that.